We absolutely love the rustic look a pallet wall adds to a home. This is a fairly easy DIY home decor idea that adds so much warmth to your room. Here are 4 of our favorite DIY pallet wall ideas we found on Pinterest. This is a gorgeous idea for the master bedroom, a cabin bedroom, or heck, ANY bedroom at all! 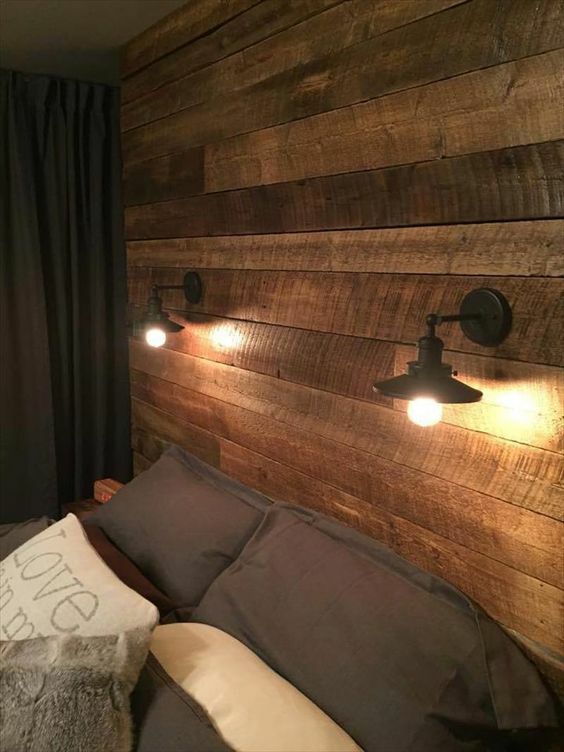 Use old pallets to create a headboard accent wall behind your bed. The rustic-looking lights are a nice touch! 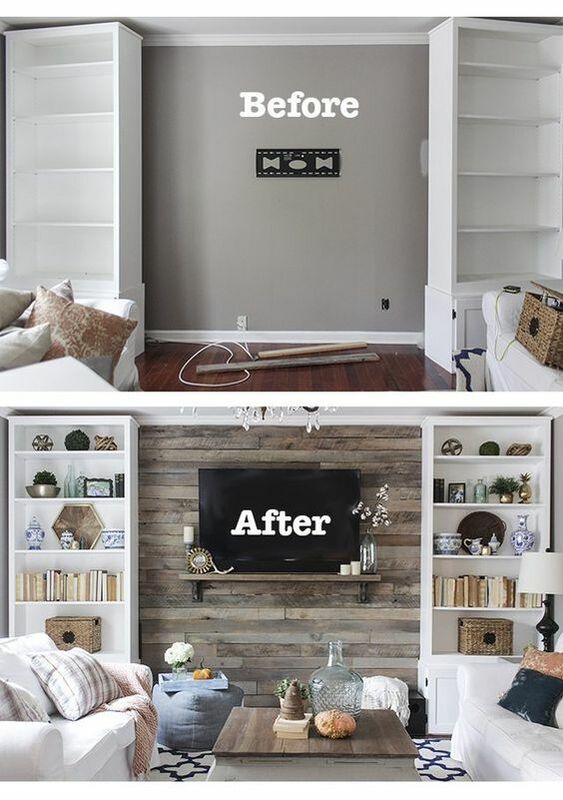 What an amazing difference this pallet wall behind the TV and between the shelves makes for this living room – totally transformed! 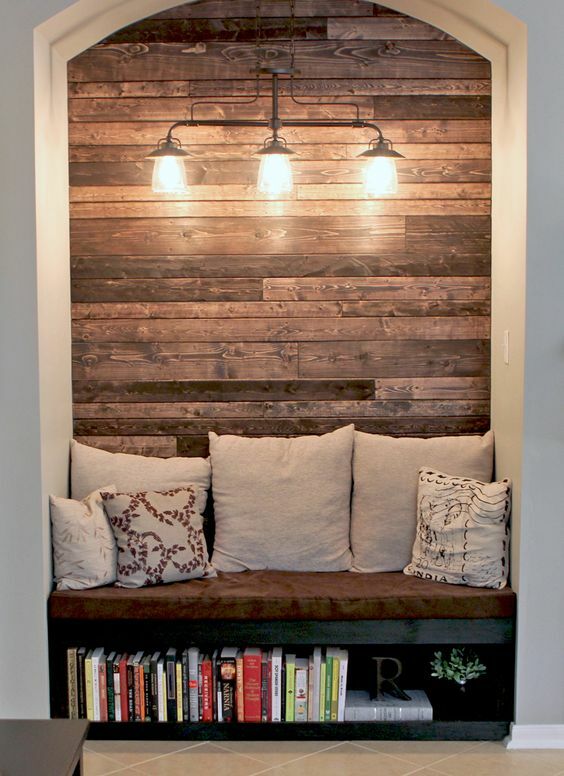 What a clever idea – these homeowners created a reading nook in their living room and used pallet wood as the decorative (and eye-catching) wall behind the bench. Very nice! A reclaimed wood/pallet wood wall in the bathroom? You bet! 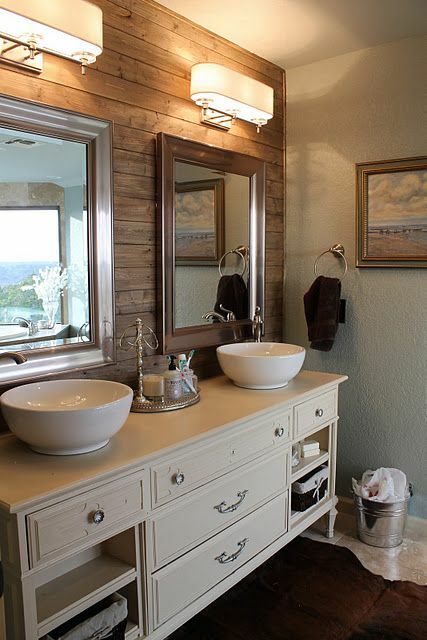 This is a stunning idea to use pallet wood as an accent wall behind the bathroom mirrors at the sinks. Drake Exteriors Specializes in Roof Repairs, Insurance Claim Work and Emergency Roof Repairs from Damage Caused By Hail, Wind, Storms, and/or Rain for home and business owners in the Atlanta Georgia area. Have roof damage? Get a free online quote from Drake Exteriors Today.